In an essay about the Citroën DS Pallas, philosopher Roland Barthes argued that it looked as if it had "fallen from the sky." 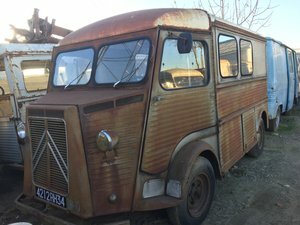 So when the DS was introduced at the 1955 Paris Salon, Citroën set the automotive world upon its ear just as it had done 21 years ago, reminiscent of the year the Traction Avant made its debut. The stunning styling for both vehicles can be attributed to Flamino Bertoni, who was also responsible for the Traction Avant. 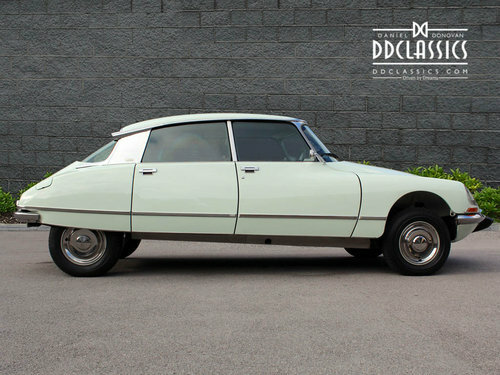 Apart from the unique design, the DS was a trip to the future in all aspects by the standards of its time. This was evident in the sheer amount of orders Citroën collected on the first day of its exhibition at Paris, collecting 749 orders of the DS Pallas. By the end of the first day, the orders climbed over an astonishing 12,000 and closed with a totalling order amount of 80,000. In doing so, Citroën hit a record that stood for 60 years, eclipsed by the Tesla Model 3, after it had received a total of 180,000 orders on the first day. After the continually evolving DS series finished in production 20 years later, 2,786,000 had been built and sold worldwide. It is not without substance that the DS has found it's place among other automotive icons such as the Ford Mustang and the Volkswagen Beetle. 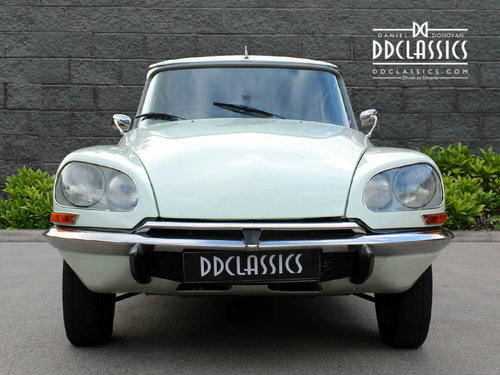 This exceptional DS Pallas offered represents a pinnacle of the DS’s engineering and styling, most powerful engine and best-developed chassis. This is an exceptional European-specification model, with highly desirable features including a four speed semi-auto gearbox and a legendary hydro-pneumatic suspension- it's success demonstrated by its survival for another four decades. Built to top-of-the-range Pallas specification, the Pallas luxury equipment package gives the DS a subtle air of extra-refinement and distinction. 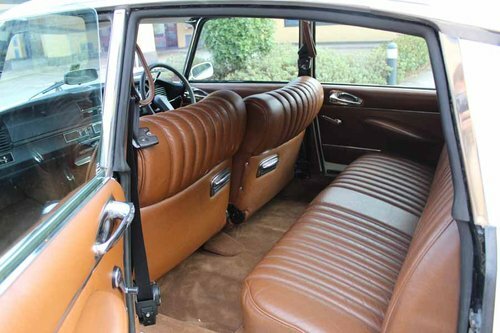 Following from the 1965 luxury upgrade the DS includes special comfort features including better noise insulation, upgraded upholstery and optional leather and external trim embellishments. This late-model DS23 retains its original, electronic fuel-injected 2.3 litre engine. 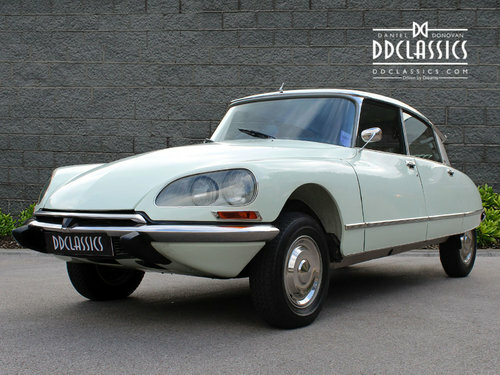 DD Classics is delighted to offer this rare right hand drive example of the Citroen DS23 Pallas. Beautifully finished in the most sophisticated Frozen White, this DS had had a full nut & bolt restoration complemented with bright Chrome details. 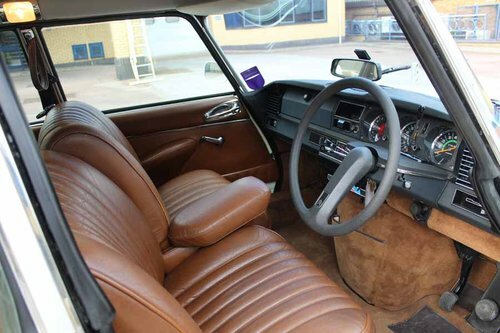 Inside, the DS23 is extremely luxurious; the sumptuous Pallas seats are upholstered with Cognac hide leather. 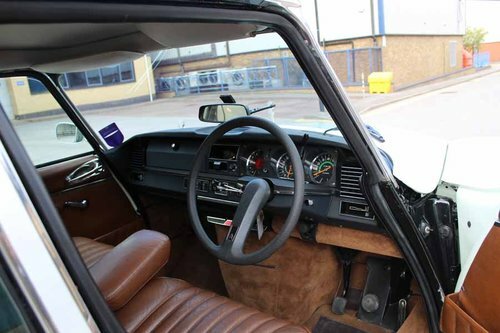 The steering wheel is turned on a single spoke, providing a beautiful view of the dashboard instruments ahead of their time upon building. The brake pedal was simply a button on the floor but the drivetrain a remarkable combination of front-wheel drive, servo-assisted front disc brakes, hydraulically assisted steering, and fully independent hydro-pneumatic suspension with automatic ride control. 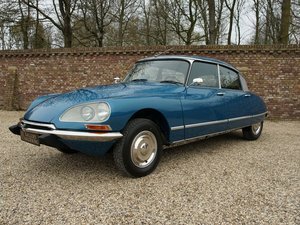 A wonderful example of the best version of an iconic DS, this car has few matching rivals.